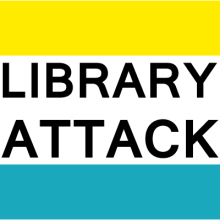 Library Services – Library Attack! You know what would be awesome? If the @ITEhq Trip Generation Manual was available electronically. Traffic engineers would rejoice! This started a brief discussion with @ITEhq, where they recommended a software platform to generate trip generation. They also understood that that solution doesn’t work in my case and appreciated the feedback. @ITEhq, thank you for engaging on Twitter! I really appreciated the conversation and respect your organization more for it. While I am happy to point out a professional association doing things well, this post isn’t about that. This post is about another wrinkle in the shift from buying and providing library resources from print to electronic. 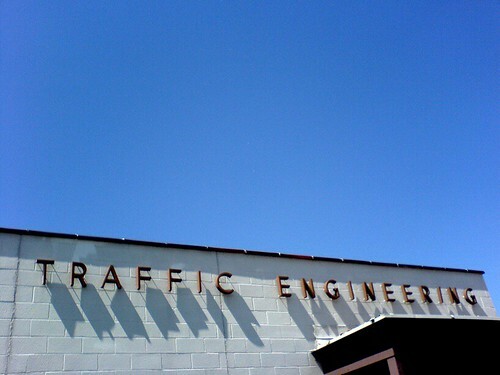 In traffic engineering there are some core handbooks that every engineer should keep on hand: the Highway Capacity Manual, the AASHTO Green Book, the Trip Generation Manual, the AASHTO Roadside Design Guide, and the MUTCD. The MUTCD is an FHWA document so freely available online as a PDF. The Highway Capacity Manual (HCM) and the two AASTHO books are available through the Knovel platform. Only the the Trip Generation Manual is not available electronically, so if our researchers and grad students want to refer to it they need to physically come to the library. That’s not the end of the world, but it is a bit of a barrier. It also doesn’t fit with how many of them use hand books now. The student I was working with yesterday lamented they could use ctrl-F to find the section they were most interested in right away. Oh technology the great enabler! But as seen in my conversation with ITE on Twitter, there is another option: OTISS, an online program used to run traffic impact assessments (trip generation, for those of you not in the know). For many practitioners who do these kinds of calculations on a weekly basis, OTISS is a very handy tool that is used instead of the Trip Generation Manual. The pricing is also reasonable for single users. Unfortunately, it’s not really feasible for a library. The multi-user account is limited to just 3 users, which then also makes the pricing unrealistic given our current budget. If we were to subscribe to it, it would have to be used in the library, which would automatically limit usage making it harder to justify the cost. There’s also the obvious that if we did pay for the service, we would probably violate the TOS by not restricting its use to the first 3 users. OTISS is not the first time I’ve encountered this problem and it certainly won’t be the last. As more resources are moving from print to electronic, there are the common questions about DRM and ownership versus licensing. There are also increasingly more cases where the new platforms for delivering the content and information were designed in a way that libraries can’t easily (or even legally) participate. This is why I’m happy that AASHTO licenses their handbooks through Knovel, because to buy them electronically would restrict us to usage on a single machine. That was the common delivery and restriction method before cloud-based solutions became common, only now it’s tied to a user. I don’t know what the solution is aside from having this discussion and raising awareness of the issue. Just something to think about. Playing tourist – A visit to my local public library. Yesterday was the first time I’d step foot in a public library as a patron (not for a meeting or class) in over a decade. I went to check out the newly renovated branch near my house and to get a library card. Yeah, it had been so long I either lost my library card or it had expired. It had been several addresses ago anyhow. So I went in to be a good neighbor and citizen. I left feeling out of place but also thinking about how weird MPOW must seem to people. While I stumbled about the place, trying to get my bearings on what one does in a public library, I had the line, “Cause everybody hates tourist, especially one who thinks it’s all such a laugh,” from Pulp’s “Common People” going through my mind. The exercise (and it really did seem like an exercise) was like going to another world and seeing how they do things. It reminded me somewhat of when I first used the library at Göttingen – I knew how libraries worked, just not how German libraries worked. A decade later it was more of the same – I knew how libraries worked, but having spent most of my time recently in the niche of special and academic libraries, I didn’t know how public libraries actually worked. I just wandered around observing the people using the library and the people working in the library, and while it didn’t seem all that different than MPOW, it clearly wasn’t the same. The first thing I had to wrap my head around was Dewey. I haven’t thought about it much since the requisite assignment in a cataloging course. Then there was the issue of the size of the physical collection. It was perfectly adequate for a small branch, but I had to first adjust my notion what stacks should be like. Once I got my bearings it became clear that I hadn’t actually used a library for anything other than work in a long time. I was determined to check something out to use my new card, but what would that be? I joke how much I don’t read books, but it’s true. I have recently read some books, but they were mostly about football, and the branch didn’t have any books on the topic. I browsed fiction and settled on a short book by Victor Hugo that looked depressing. When I went to the desk to check out, the librarians politely escorted me to the self checkout machines and showed me how to use them. They were eminently nice but as I approached them for help, I had the feeling as if I were grossly out of time. I was out of time, decades out of time. I wanted to joke with them about it all, a librarian being unable to use a library, but I didn’t think they’d care and it wasn’t really relevant. The reason I decided to share this very mundane story, other than to make fun of myself, is that it reminded me to think outside my situation. Libraries are very diverse entities and while I rant that we’re more than just books, there are some who are still very much books. There’s not one size fits all model. It also reminded me of what services people expect. Universal paging is becoming a standard service that people expect, will self checkout be the next such thing? I sort of hope so. I do plan on going back when the books I paged come in. Hopefully this won’t be a once in a decade thing. Realism, cutting back, and letting go. Library Closed, originally uploaded by bigoteetoe. Have I told you about the hard times at MPOW? It’s bad… really bad… The institute we’re a part of has lost a huge portion of its funding, which means the library is facing massive budget cuts. How massive? Well, 35% is the optimistic cut, though we’re still waiting to see how it shakes out. It’s not a huge surprise since our funding comes from Caltrans and UC, and California is on the precipice financially, but it’s still stressful and something we have to deal with. â€œYouâ€™re doing great work, and I appreciate how hard it isâ€ seems to be the best I can do for morale and motivation. Today I realized that â€œif we have to make further cuts, weâ€™ll have to start cutting servicesâ€ also works. Not because any of us want to cut services â€” far from it, and weâ€™re all horrified by how close to the bone we are and how thatâ€™s impacting education in New York state â€” but because itâ€™s an acknowledgment that weâ€™re only human. We can only do so much. We cannot be superpeople. We have tried, and if weâ€™re pushed further, weâ€™ll fail. Thereâ€™s power in acknowledging the limits of success and effort. MPOW is a lean operation as it is, but we really have to have that hard look at what we’re doing, the services we’re providing, and what we’ll have to do without. It hurts. I hate telling students, “We had to cancel that subscription,” but I appreciate that they know it wasn’t really by choice. There will be more of that. The hardest part for me will be cutting back on the depth and quality of reference service we offer. I love answering questions! It’s my nature to help people, but I have to acknowledge I can’t do it all. 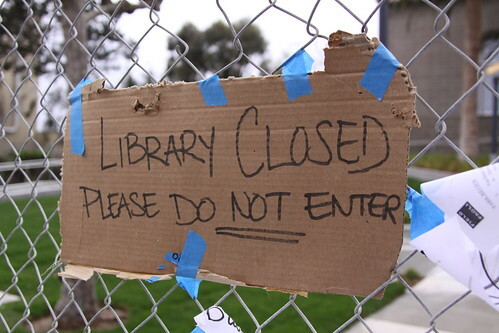 It’s about reassessing the library’s priorities, and making sure we’re aligned with our institute’s. One thing that really makes it easier in some ways, though harder in others, is that I recognize that it’s a shared pain and that we’re really in this together. It’s part of the new reality. So we’re switching to a 4-day week when the semester ends. Nobody’s really thrilled about it, but it’s the most realistic option. So I have to let go. Let go of all my fun conference calls with the larger transportation community. Let go of my research into ontologies of transportation engineering. Let go of a lot of the fun. It’s depressing, but I know it’s necessary. Hopefully there will be light at the end of this tunnel, and hopefully I’ll be able to get back to that sort of stuff on the clock, but for now I need to get ready to scale back. At least I can commiserate with colleagues near and abroad. a&p DINOSAURS!, originally uploaded by kendrak. 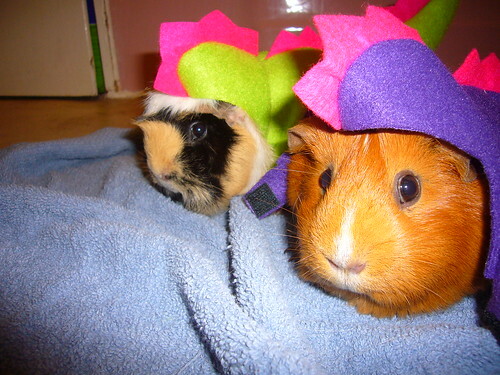 This is one of my favourite pictures of my guinea pigs. They’re dressed as dinosaurs, but it’s clear they’re not really reptilian or prehistoric. (Also, I love how you can tell that they’re plotting to kill me in this.) I’m using this picture to illustrate the whole concept of impostors, and how we as librarians, particularly subject librarians, need to get over it. I’m talking about John Dupuis’ Stealth Librarianship Manifesto. It’s like he’s reinventing embedded librarianship, only with an academic flavour. The usually verbose In the Library with the Leadpipe also weighs in. You should go read them if you’re interested, but it’s hard to pull out concise excerpts here. Suffice to say, manifesto (which might be the new word for 2011) urges subject librarians to integrate themselves in their subject and be a peer of their community. Apparently this is novel? My frustration with this rebranding is just a part of the narrow vision many librarians have about the profession and its role in the information seeking world. This LSW thread from today sort of embodies it. What? There are other types of libraries besides public and academic? Now, as I did in that thread, allow me to put on my SLA hat. One of the greatest things about SLA, to me, is the diversity of its members and how very few are just traditional librarians in the narrow sense. There’s a very wide world out there, but it seems like lots of people forget that, which is our loss. When Dupuis notes that librarians should stop joining traditional librarian professional associations, I wonder if he’s actually been involved with SLA? But back to the the concept of “stealth librarianship”. Basically, Dupuis calls for librarians to be part of their user community, not just observers but participants. I agree. I also know that several librarians already are and have done for decades. It’s not new. It’s also not as common as it perhaps should be, but making it as a new concept is not necessary and might just muddle things. Really, how is it any different from being embedded? Or just being a really involved member of your community? I am not seeing why we need a manifesto, other than maybe to empower those who felt out of place? I touched upon this last month when I got back from the biggest transportation conference of the year, the TRB Annual Meeting. It’s one of the most productive and exhausting events on my calendar each year. I spend basically 5 days spending some time with my transportation librarian cohort (I know, shame on me! ), but most of it is running from one committee to another being seen and hearing what is going on within the transportation research community. I make it a point to not go to the normal meetings and to try and make new partners not only for myself but the rest of the librarian community. 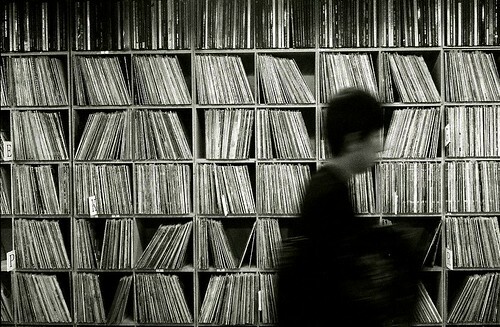 I all my infiltrating and networking, never do I hide the fact that I’m a librarian. I’m proud of it and I also recognize I, and all the other librarians, are an important part of the transportation research community. Yes, we need to market ourselves better within that group, but I don’t think it means a whole new rebranding. I wonder if really the Stealth Librarianship Manifesto should be less about extricating ourselves from the insular library community and more about changing how we engage our user community. How we fit into the larger information consumption/research landscape, and how we can reassert ourselves as the invaluable experts we are. I don’t pretend to be a transportation planner or engineer, but I sure know how to find research and data better than most, but that’s what I do. It’s my area of expertise! Maybe if we stopped designing systems and guides to do the work for us and did it ourselves, people would really recognize our value? I guess it doesn’t apply to me? (Or most of the colleagues I can think of.) I am often reminded how special we really are in the transportation library world. I keep considering writing an open love letter to my colleagues, because they make it so interesting and make me proud to be a transportation librarian.